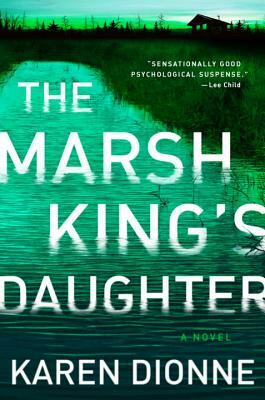 Praised by Karin Slaughter and Megan Abbott, The Marsh King’s Daughter is the mesmerizing tale of a woman who must risk everything to hunt down the dangerous man who shaped her past and threatens to steal her future: her father. Helena Pelletier has a loving husband, two beautiful daughters, and a business that fills her days. But she also has a secret: she is the product of an abduction. Her mother was kidnapped as a teenager by her father and kept in a remote cabin in the marshlands of Michigan’s Upper Peninsula. Helena, born two years after the abduction, loved her home in nature, and despite her father’s sometimes brutal behavior, she loved him, too...until she learned precisely how savage he could be. More than twenty years later, she has buried her past so soundly that even her husband doesn’t know the truth. But now her father has killed two guards, escaped from prison, and disappeared into the marsh. The police begin a manhunt, but Helena knows they don’t stand a chance. Knows that only one person has the skills to find the survivalist the world calls the Marsh King—because only one person was ever trained by him: his daughter. Karen Dionne is the cofounder of the online writers community Backspace, the organizer of the Salt Cay Writers Retreat, and a member of the International Thriller Writers, where she served on the board of directors. She has been honored by the Michigan Humanities Council as a Humanities Scholar, and lives with her husband in Detroit's northern suburbs.